A tool to help teach your students about the Milk Money program. An advanced guide for middle and high school students. A form to make it easy and quick whenever you are ready to donate. Whether you have already completed a successful fundraiser or would like to donate to provide milk for school children, download the form and mail in your donation. Our team will handle the rest. Want to give online? Visit our online form dedicated to the School Milk Program. Set up a group fundraising page to collect online donations from your community. In the southern highlands region of Tanzania, it has been difficult to get pasteurized milk to children. As a result, many students suffer from a lack of proper nutrition in their diets at home. Few schools serve meals during the day, so most kids don't receive a meal at school. This means the children are going their entire school days malnourished or underfed, which affects their ability to learn. Heifer is helping provide milk to students in the Njombe, Mbeya and Iringa districts of Tanzania. Milk Money is a fundraiser that invites young participants to work together to help students in Heifer's School Milk Program. For many years, our focus in Tanzania has been on increasing the amount of milk produced by farmers in small farms. In this project, we are working with farmers and dairy producers to process the milk and package it for schoolchildren. We know your students can make a difference. 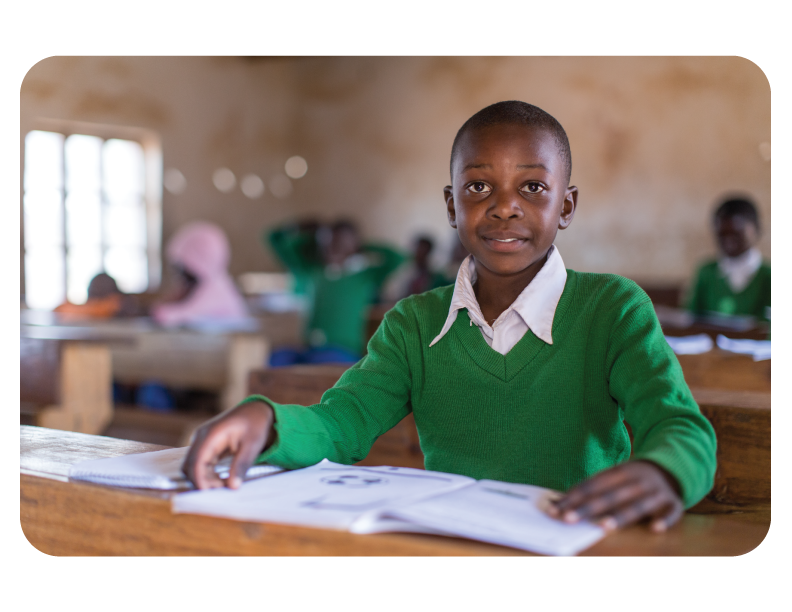 Download materials below to help your students learn more about Tanzania and the importance of a daily serving of milk for the students. Then brainstorm with your students to generate creative and fun ways to raise funds for Milk Money. Your students will discover the benefits of service while learning how their interests and talents can help others. Miriam enjoys helping her mother with washing utensils, sweeping and fetching water. Her favorite subject is mathematics. She enjoys her classes, and she wants to become a teacher in the future. Deo likes playing football (you might call it soccer) with friends and doing homework. He is friendly and gets along well with his peers. His favorite subject is English. He enjoys his classes, and he wants to become a pilot.